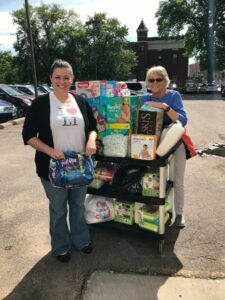 A huge thank you to the families of Lasting Impressions Child Care Learning Center who raised an impressive 1,428 diapers and 540 wipes during its recent drive. Drives such as this one are incredibly important in The Diaper Bank of Minnesota’s 2017 goal to distribute 200,000 diapers in the Twin Cities. Interested in hosting a drive? Learn more here → Drive Information Link.